A finely bound ‘Heidi’, wonderfully illustrated by Jessie Willcox Smith, with colour pictorial title page, 10 full page colour plates, 23 full page black and white plates, and coloured endpapers. 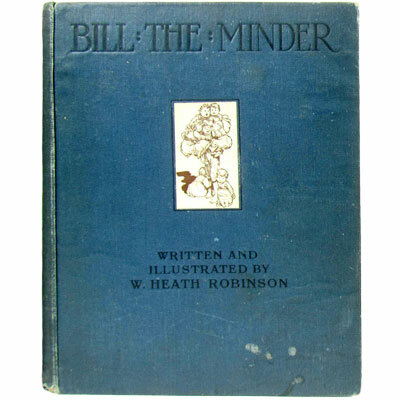 A timeless Pirate classic, with colour illustrations by Edmund Dulac. Join young Jim Hawkins as he accompanies the dastardly crew of ‘la Hispaniola’, including Long John Silver and his parrot, in pursuit the lost treasure of the infamous Captain Flint. Filled to the brim with mischief, murder and mayhem, the novel remains one of the most popular stories ever written. ‘Surrender, villains!’ cried Amos, pointing his sword full at the first man’s throat. A selection of 22 Boy’s Own exciting adventures by the best ripping yarn writers of the period including G. A. Henty, Herbert Strang, Wilkie Collins, Percy Westerman, Manville Fenn and others. With titles like In The Grip of Smugglers, Iceland Ho!, Through The Enemy’s Lines, A Dash for Liberty, The Spur: A School Story, Sir Richard Grenville’s Last Fight, and The Cleverness of Carter. Chock full of colour and black and white illustrations. 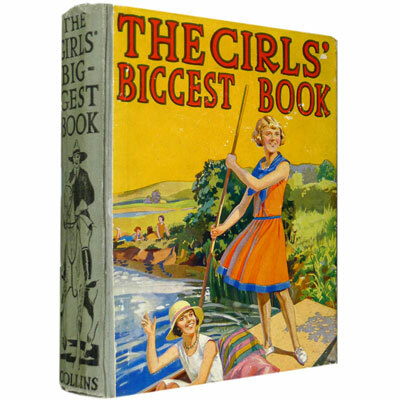 A bright copy with twenty-four stories for modern sporty girls, memorable titles include Reefing on the Great Barrier Reef, Pelling Pulls it Through, A Visit to a Modern Film Studio, Prudence to the Rescue and The Durzie and the Dhobie. Profusely illustrated with three full page colour plates, and black and white vignettes throughout.